Beauty is one of the prime concerns for the modern women and they are very much sensitive and caring about it. Almost every woman who has little afforadbility goes to nearby beauty parlors for their beautification. Among them who are affluent, they go to some renowned beauty shops, which are situated in different region of Dhaka city. Some of the beauty conscious women travel a long way to go to their desired and proffered beauty shops. In case of beauty conscious women of Bashundhara and Baridhara, they are one of them. Saloon industry in our country has high intensity of rivalry, customers also have high bargaining power though threat of substitutes & barraging power of suppliers are low; but the threat of new entrants are moderate. To capture the opportunity as beauty parlor business is in the growing stage, we will rent a 3,000 square feet shop in a commercial building just beside the International school of Dhaka in Bashundhara Residential Area. The name of our beauty parlor and spa is “Freya’s” having a tagline “Promise of Heavenly Beauty” As we are five persons who will invest so each of us will invest 11,50,000 BDT totaling 57,50,000 BDT. We will create a club like environment for the enjoyment of our customers. In our salon we will have TV, WiFi, Virtual Hair Style Display and also with refreshment services. So while at our salon our customers will enjoy every second of it. Our salon interior will also be innovative which will provide a pleasing experience. Another reason to provide these things is to make customers feel that they are not waiting. We will focus on several things in case of conducting the business like hygiene, quality and perfection. We will hire two specialists who will revamp our parlor to a very high level. We will also provide some other value added services as well. We will also focus on hygiene very strictly. For a salon hygiene is a very important factor. To clean our salons hair cutting and other tools we will use sterilize machine. So our salon name indicates the exceptional services and the tag line reflects our superior quality. We will have six types of employees and among them there will be 1 manager, 1 receptionist and cashier, 8 Operating Employees, 2 specialists, 1 security guard and 2 cleaners. Among the specialists, one will be a Skin Specialists and one will be a hair specialists. Freya’s long-term objective is to increase the sales by 15% in 2nd year, 20% in 3rd year, 25% in 4th year, 30% in 5th year and 6th year considering 1st year as the base year. We will have different promotional strategy which will include Newspaper & Magazine, posters & pamphlets, kiosk and Opening Day Promotion. To check our business feasibility we have selected 5 years as our evaluation time frame. Based on percentage of sales method we have forecasted our income statements and balance sheet. Our business has NPV of ৳5,474,000 and discounted payback period is 5 years. Thus, we can say that our salon “Freya’s” has a very promising future. Our Beauty Saloon will serve an underserved region of the inhabitants of Bashundhara and Baridhara, one of the most lucrative target markets of the city. We will design our outlet in such a manner that today’s progressive and beauty as well as health conscious women can have a heavenly atmosphere where she can sit back, relax and experience the “World Class” art of grooming and services in a woman’s club atmosphere, which is relief-secured and therapeutic. Our saloon is aimed to serve a niche market and a discerning customer base, and will add tremendous value to our community while offering a combination of “World Class Services” not exactly currently being offered by any competitor in Dhaka. We intend to be profitable by increasing our client base through becoming a highly sought after destination. It will be a partnership based company, formed by five individuals having equal share each. Each of the partners of the company will be addressing a managerial role in the organization and will be working as a team to take any sorts of decision regarding the execution and development of the saloon. We will evaluate our target customers’ needs and expectations and work with them to customize the levels of Service for you based on your own individual needs to achieve the best results. Together, we will decide what the best look is for you so that you both feel comfortable, confident and satisfied that your needs will be met fully, skillfully and affordably. We want to gain the customer satisfaction that our salon is the best choice to entrust with their everyday and one of the most important days of their lives. We accept each visit of our customer as a serious undertaking and treat it as if it were our own. Our goal is to exceed your expectations. We believe in our quality service. If you want to be sure your physical soundness, relief, inner glow and beauty, Freya’s is going to provide perfect skills and expertise for you to ensure those needs. Whether you come in for a full day of spa or just to relax and enjoy with the pool of your friends – Freya is the place you need to hang around. Our saloon and spa service will establish itself as a world class service provider to which clients can always come to escape the stresses of life, and rejuvenate their energies, enjoy the camaraderie of their colleagues and friends. To provide world class grooming and spa experience by combining skill, art, technology and science for today’s women in a female club atmosphere with promises to take the service experience one step beyond anything else. Our saloon will have more than 10 sitting place for beauty treatment – where every seat will be comfortable and spacious. Each of the seats will face with large mirror, beauty desk made of delicate granite. We will have a spacious waiting room for 20 people – where the customers will be seated on comfortable divans and also they will be provided hair fashion magazines and our beauty catalogues. We will have Wi-Fi facility- our customers will be provided with Wi-Fi facility where they can check their e-mail and browse any website while waiting or while they are doing their beauty sessions. This service will help a lot to position our business as we have work-holder and university students as our major customers. Our Salon will have refreshment services – in our salon there will be small food corner of well known fast food provider ‘Coopers’, where our customer will have some sandwiches, pastries, patties, juice and coffee. So that our customers will feel treated till they entered into our store to till they are leaving our salon for the next visit. Services – We will offer a range of services consists of Hair Setting, Hair treatments (For instance; Oil Massage, Protein Treatment, Spa Treatment, Herbal Treatment, Shampoo), Hair Coloring, Hair Straightening, Party Makeup, Bridal Makeover (including Gaye Holud, Wedding & Reception), Facial services (Normal, Herbal, Pearl, Gold, Fruit, Whitening, Oxygen, Ozone), Spa Service (includes Body Wrap, Body Massage, Aroma Therapy, Body Scrub, Firming Body Detox, Eye Brow Pluck, Upper Lip Pluck, Pedicure, Manicure, Waxing, Nose Piercing, Ear Piercing, Pedicure and Manicure. Location: Providing an easily accessible location for the inhabitants of Bashundhara & Baridhara. This segment of consumer especially the executives of GrameenPhone or the private university students need to go to either Gulshan or Banani for the parlor works and spa service. They need to cross the distance through tiring and time-consuming traffic. No beauty parlor is in a convenient distance. Thus, we target them and locate our salon in their most closest reach that our customers will spend less time on traffic and get the best quality service. Convenience: Offering clients a wide range of services in one setting and extended business hours. Effective advertising: We will promote our brand through effective advertising tool and ensure the efficiency by utilizing our tight budget accurately. Capture a lucrative market share in the industry because it is important to become stable in the business cost-effectively. It will also ensure our success on long-term objectives. Aimed a specific niche segment to whom our salon shop will be convenient and they can get easy access to our services. Create a service-base company whose goal is to exceed customer’s prospect. Increase the sales by 15% in 2nd year, 20% in 3rd year, 25% in 4th year, 30% in 5th year and 6th year considering 1st year as the base year. Increase the rate of loyal customer through our quality services and other supports. Introduce new health care services after establishing our brand in customer’s mind. New health care services will include Fitness Gym, Meditation services (Yoga, Silva), Aerobics, and Swimming pool etc with specialist mentors. For years, beauty is nourished and glowed by the woman portion. A woman feels esteem, confidence, pride and relief by her beauty. Make-over saloons are increasing day-by-day in the city. Still there are underserved part in the city. Women are not only aware of their make-up or outlook but also getting sincere for making her inner glow prominent. Not only a haircut or bridal make-up, beauty saloon became her beauty manager to the day-to-day life. Now women are more conscious about their looks and skincare. Female portion, especially the younger generation can be seen mulling over the choices of facials they have, the options that they have with various types of haircuts. Their choices of beauty services are varying on their profession or their peer environment. Thus, beauty care along with spa service became a mandatory requirement for the fashionable and smart female of today. Beauty saloons in Bangladesh are a new pampering and entertaining concept that cater to haircuts -from the conventional to ultra funky, massages, manicures and all other grooming treatments. Why simply look good when one can feel good inside as well? These hair and facial treatments also help the consumers to take better care of their hair and skin to combat the effects of the pollution and dust of Dhaka. Whatever the reason, women now care more about their personal hygiene and looks and thus saloons have come up with treatments to help them. Parlors such as La Belle, Persona, Farzana Shakil, Women’s world, Living Doll etc. have all mushroomed over the last decade and they all offer hair and facial needs. Every now and then different saloons are sprouting up and popular magazines and newspapers are advertising the necessity for women to go there and look good. Everything is about the company image. The political condition of Bangladesh was not stable in last year, but now the political condition is comparatively stable. So, the management committee of our saloon needs to clarify all the legal documents to the government. We will need to obtain a trade license from the city corporation. All the partners of our saloon have to submit an application for a trade license in order to operate this business. The application would be accompanied by a certified copy of the Articles and Memorandum of Association of the company, a copy of the certificate of incorporation, statement of bank solvency with the loan papers of the institute, and a taxpayer’s identification number (TIN) certificate of our salon and for all of its partners. Our Saloon will have to register with the respective taxation authority under the National Board of Revenue (NBR) and obtain a TIN (Tax Information Number) for the new service company that is to be formed. This is a legal aspect. Bangladesh is a developing country. The national economy has been gaining momentum recently. The national unemployment rate has been hovering at a relatively low level for two years. On the divisional level, especially Dhaka and Chittagong continue to experience rapid expansion and prosperity. As these regions accept many newcomers from the rust belt and other areas, it has become more business focused. Business is booming in the grass root level. The annual growth rates of new small businesses are soaring. Many businesses continue to expand in the countryside. Net job creation has advanced at a steady clip. High technology areas have grown up in Dhaka, Rajshahi and Chittagong. According to statistical yard book, our per capita income was $450 in the last year. For the next five year, our economy is extremely favorable for doing business. After 9/11 economic relations in Middle East and Asian countries especially the Muslim countries have been greatly hampered with European, Australian and American countries. The war in Iraq had influence on total international economical environment but it did not cause any lethal for Bangladesh in relationship with outer world. Software development has become the Golden Fleece for Bangladesh in recent years. Since internet connectivity reached Bangladesh in 1997, people in Bangladesh have been able to open their doors to the outside world more than before. Slowly, companies were able to post messages on web sites from hosts outside of Bangladesh. Then companies within Bangladesh became ISPs, thus paving the way for companies with in Bangladesh to eventually have a web site of their own. This means greater market penetration for Bengali business people. A major proportion of Bangladesh is having access to the Internet. Business organizations are increasingly adapting to the use of Internet than other time consuming modes of communication. We will have software where we will have the compete profile of our customers. Time to time we will update the profile according to their learning. We will have a website for our salon where the customers can get all the information easily. Also, we will have contact will our customers through email so that we can email them any important announcement. The Diamond model of Michael Porter for the Competitive Advantage of Nations offers a model that can help understand the competitive position of a nation in global competition. This model can also be used for other major geographic regions. Because these factor endowments can hardly be influenced, this fits in a rather passive (inherited) view towards national economic opportunity. Porter says sustained industrial growth has hardly ever been built on above mentioned basic inherited factors. Abundance of such factors may actually undermine competitive advantage! He introduced a concept of “clusters,” or groups of interconnected firms, suppliers, related industries, and institutions that arise in particular locations. As a rule Competitive Advantage of nations has been the outcome of 4 interlinked advanced factors and activities in and between companies in these clusters. These can be influenced in a pro-active way by government. The more demanding the customers in an economy, the greater the pressure facing firms to constantly improve their competitiveness via innovative products, through high quality, etc. Women today are more conscious about their look and appearance. The underserved area of Baridhara, Bashundhara and the surrounding requires such exclusive saloon service provider like us. We expect that the pattern of growth of this business will have an increasing trend when we have discussed with our experts. As we will be in the growth stage in this business we hope to have a good demand of our salon. We will focus on a populous region and almost 75% of the region is our customer group. Thus, the size of demand is almost 20% of the overall industry. Again, the inhabitants of this certain region are almost 5% of our total population. We will prove the best service for our customers and will show the highest efficiency for our sophisticated and demanding customers who will be interested in our salon service. Spatial proximity of upstream or downstream industries facilitates the exchange of information and promotes a continuous exchange of ideas and innovations. Our related supporting industries are Belle, Persona, Farzana Shakil, Women’s world, Living Doll etc. The broad attribute of national advantage is the strategy, structure and rivalry of companies. Strategy is stated before. Each of the owners has a 20% equity stake in the business. Each of the five members will actively participate in the general and strategic management of the consultation center. Each partners will be 20% owner of 62%, means each individual partner will own 12.3% of the total asset. Rivalry in terms of other competitors is very intense. As there are few good salons already in the market, so we need to do something different to attract the customers. The government can take initiatives to promote and support saloon industry for the betterment of national what many foreign government does. The government can also reduce taxes of hair cutting and beauty related machines to motivate others to come and join this industry and serve nation at their best. Freya’s will be providing well-known experts in beautification provider. 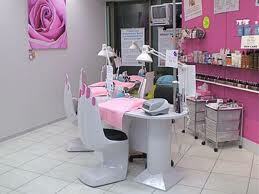 Other beauticians will also be highly efficient to provide services to the customers. They will be trained very well before they serve a customer. Freya’s has physical evidence and a location convenient for targeted customers. As Freya’s does not need to invest high in fixed asset it can easily invest high in growing expertise of hairdressers which will standardizing their service. The effective promotion strategy which will help Freya’s to position the brand name inside customers mind. As the socio cultural scenario of Bangladesh is changing the demand for expert and stylist saloon will go in an increasing pattern. The owners will have the complete control over the operation of the salon as they will manage the entire management of Freya’s. By maintain relationship management and providing extra services Freya’s will easily draw the attention of the customers. Moderately high initial setup cost. Required high budget for promotional campaign as we are a start-up company. Not being a first mover in the industry. Continuous increase in demand due to improving GDP per capita of our targeted group of customers. Because of the infrastructure we can mobilize our stylists and experts. As other competitors yet to be introduced customer relationship management that’s why it will create opportunity to attract customers. Freya’s will target all the inhabitants of a certain region which is almost 5% of our total population. Freya’s will be able to expand its operation in future also by providing quality services. As the entry barrier is moderate and the demand for such kind of saloon services are increasing and many new competitors will enter into the industry. Thus, threat of new entrants will be higher. Technology will be another threat for this type of industry. Competitors may take this advantage and go ahead. Life cycle Management is the succession of strategies used by management as a product or service goes through its product life cycle. The conditions in which a product is sold changes over time and must be managed as it moves through its succession of stages. The product life cycle goes through many phases, involves many professional disciplines, and requires many skills, tools and processes. Product life cycle (PLC) has to do with the life of a product in the market with respect to business/commercial costs and sales measures; whereas product life cycle management (PLM) has more to do with managing descriptions and properties of a product through its development and useful life. As new generation is more conscious about their style that’s why sales volume can be increased significantly. Due to increased number of services, our profitability will begin to rise from the start. If there is more competition occurred then price will be decreased. So we can say that our saloon is on growth stage in the industry. We have created the group our potential customers in regional basis and on some other criteria. The criteria are age and income. Our geographical target area in terms of the domestic market will be the inhabitants of Bashundhara & Baridhara. We will offer a quality service and the potential customer group is consists of the students of private universities, the employees of GrameenPhone and other corporate offices and the inhabitants of the region. Our potential customers are female portion from age of 6 years to 60 years. We will try to communicate the passionate teenagers, the progressive and professional female portion who are aware of their looks in a huge extent. In terms of income we are more interested towards the upper-middle income bracket and moderately high income bracket people, who have an average family income of Tk. 50,000 and more. If we consider over the social and economical structure of Bangladesh as described above in our PEST analysis, we can see that our potential market is growing. The social factors and busy life of the people of this age group and income will attract them towards our training centre. Similarly the economical factors and growing GDP of 6.5% shows that the people will have a higher income in future and they will have more money to spend on their major concerns. Lastly, the reason behind considering this segment as our potential customer is the population structure of Bangladesh. If we look closely to the population structure we will see that the middle class has is the biggest but upper middle class and upper-class will spend a large amount of money for haircuts and other beautification purpose. As according to the analysis, twenty percent of best customers are the provider of eighty percent of profit. We tried to target that total twenty percent as our 100% potential customer. The demographic condition of Bangladesh comprises mainly middle class people and the GDP growth rate over the year is increasing in a positive way, which gives the industry a greater prospective market. The cheap labor cost of Bangladeshi labor gives the industry a competitive position over other services. From the above analysis we can say that our market is growing enormously and we have many options to utilize this opportunities and increase our customer base. Our targeted consumers are frustrated with busy and stuck traffic and they need to have a quality saloon and spa centre in their hand’s reach. Thus, the opportunity for us to make a mark and serve them to make profit is certainly there. Strategic Group Analysis (SGA) aims to identify organizations with similar strategic characteristics or competing on similar bases. Data presented in the figure has been taken from the results of a survey conducted the female beauty Saloon Industry and our company is positioned based on our assumptions. As it can be seen from the above included graph, among the five major competitors in the market, Farzana Shakil the current market leader offers services at a higher price with moderately high service quality with a moderate customer focus with a moderately high differentiation. Women’s World offers their services at a higher price than Farzana Shakil but they are providing a bit low quality services than them. Again, they are less customer oriented than Farzana Shakil and provides less differentiation than persona. Persona offers moderate price with a moderate service quality. They are moderately devoted to the customer focus, so they provide lower differentiation of services. Living Doll is low cost service provider among the major rivals. As it is the cheapest that’s why they are unable to provide benchmark service quality to their customers. Again, they are less customer focused and because of charging comparatively low service price that’s why it provides lower differentiation of services. Our saloon is going to offer exclusive and quality service that’s why we are going to charge a bit higher market price. We want to attract those peoples who get their beatification from different branded parlor. To keep this segment we have to be more customer focused also have to provide the higher differentiation of services. Farzana Shakil, Women’s World and Persona would be the closest competitors of our salon. Especially, we will compete in the spa service. Fully utilize the demand for our service through marketing efforts. As we are late entrant in the market so we will have the advantage of the more well-informed customers and we will also learn from their mistakes. As the business required a large amount of capital the hair salon can merge with a foreign hair salon brand. Since our salon will be a service based salon, our efficiency will be measured in terms of our employees’ capability to serve the clients up to their satisfaction. As a result, first of all we would be hiring very efficient and experienced beauticians for our saloon. We are predicting that the demand for our hair saloon would be quite high. We would be delivering high quality service; therefore we will be charging moderately high price so that we can keep up with our target customers. As our customer base increases due to superior quality services and differentiated techniques of advertising, our salon will be able to keep per unit cost down and thus achieve economies of scale. In our hair saloon beauticians are a major input in providing the promised service. Those who are highly skilled and multi skilled can perform tasks faster and more accurately than individuals with lesser skills. So, we won’t only hire skilled beauticians but also assure training upgrades as consumers’ preference for certain changes so as to bring our salon productivity-related efficiency gains from learning and experimentation. Satisfied clients are our best marketing tool. When a client leaves our business with a new look, he or she is broadcasting our name and quality to the public. One research has shown that word of mouth is the best advertising for this type of business. Therefore we want to achieve superior responsiveness to clients and for that our salon would need to provide the clients with what they want and when they want it. We would attain this firstly by our mission statement that puts our clients first. This would send a clear message to the managers and beauticians and other employees about the desired focus. We would drill it into all our employees to see the customer as the focus of their activity. Beauticians would be trained to put themselves in customer’s shoes to be better able to identify ways to improve the quality of a beautician’s experience with the hair salon. This feat would be achieved by listening to what the clients have to say and bring in their opinions by soliciting feedback from clients on the services and building information systems that communicate the feedback to the relevant people. We would try to customize our services by differentiating our services through customization and reduced response time. We will use a data base system to develop an information page customized for each individual client, so that we can send information about new styles, new offering and many more to the customers immediately. We would also try to incorporate customization in service packages by designing them as per customer specification. The speed of response in our business would be meet clients’ demands as quickly as possible. We would hire the best beauticians and spa experts possible to ensure that clients have the service which they are interested in as early as possible. The increased speed would allow us to choose a premium pricing option. We will provide quality service in an underserved area where potential customer base creation opportunity is very high and almost obvious. We have every intention of pursuing a chaining strategy in the near future. This would facilitate the realization of economies of scale from sharing managerial skills across the chain and from using nationwide, rather than local advertising. We would try to build market share by developing a stable and distinct competitive advantage to attract customers who have no knowledge of our services. We would demonstrate a sustainable distinctive competency to attract outside investors. With the available resources we will develop a distinctive competency to have a competitive position in the market. Product development would be crucial for us to maintain product differentiation and building market share. We would be always on the lookout for new and invest in R&D to replace existing ones that has lost customers interest and search for better ways of serving the clients. Training– We are hiring well trained employees. This would enable us to add more value to our products. Service Delivery- Hair cutting is our core service and by performing it in a way that is consistent with superior service quality, we would be differentiating our products. Marketing function– will help us create need in the market and add value to our service through brand positioning and advertising. Customer Service– Here we will focus on providing exceptional customer service and the main focus will be on being responsive, empathic and reliable. Our saloon’s organizational structure, control systems, culture would shape the attitudes of our employees. Within this context all other value creation activities would take place. We, the top management, through strong leadership would shape the infrastructure of our hair salon. Our information system is largely used for managing information of employees’ and clients. Physical Evidence is our major core competencies. We have managed to create a posh outlook, a clean place and a luxurious environment where our clients can get the total beauty-care experience. The design of the hair saloon is done in such a way that it facilitates each of our activities. The waiting room is delicately designed, so that our customers can get the full advantage of relaxation. In such way our physical evidence acts a core competency. Apart from all this, we have well decorated interior and equipments to attract customers. The location of our hair salon is another core competency. Our location will be at banani which will be more convenient for our target customers. This location will give us a unique identity, attract customers and will create brand awareness and boost up our SBU to a large extent. Our foreign experts and skilled beauticians are our main core competency. They have been trained from foreign beauty experts to facilitate our unique hair cutting procedure. The beauticians are well trained and we have managed to select the best people. They are multi skilled in a sense that a single beautician is capable to train a number of employees. This has resulted in low operating expenses and adds more profit. Our beauticians are affluent and master in their personal sector. Here we have managed to bring every new equipment and instruments possible and new innovative cutting method to give the service to our clients. Use of equipments and training method is acting as a core competency because in Bangladesh very few hair saloons have such equipments and service program. This is a diversification plan that we have within our long term plan. We would like to use this system for adding value to our services. These procedures will be used for free for our clients if we think that they need them. This will be considered as a value added service and will act as our core competency because none of the hair salon uses this system for their customers. In our company overview segment it has already been described about the basic service of our organization. In the marketing part we will discuss in details the services in our product planning segment. We have an extensive program for managing quality of our services. We will maintain quality and assure it by identifying some of the major gaps and minimizing them. The strategy that we will be following is by targeting the market we will give the most convenient price with the ultimate quality services. That will obviously enhance the sale and also it will create our brand as the most genuine one. We have already identified one slogan for “Freya’s” brand as we all know just after the brand itself it plays the most vital role in the market for maximizing the profit. The slogan is “Promise of Heavenly beauty”. Certainly, we will create awareness through our brand name that wherever you go doesn’t matter but come here and check out the combination of quality and the convenience together. We will not only give our customer beauty treatment but also will give them a way to stress out their tiredness through spa. If brand keeps a far way from our target consumers they will be unwilling to come here to buy their desired product unless the brand is close to their mind. So it will be a great challenge for us to handle this critical issue. As we are a start-up company, we should market our services in a systematic manner to grab total attention of out targeted segment. If we can’t target the market in a proper way then it will be only normal brand and nothing else which will hamper our overall purpose of the brand. Our main target is establishing our brand in our targeted segment’s mind through proper marketing strategy. An explicit Market Strategy will allow us to grow rapidly a have higher market share, which will eventually fulfill our objective. As we have already said that we will be providing ultimate services and can be standardized as “world class” art of beauty segment in every woman’s mind. We will try our best to add tremendous value to our society. Therefore we can portrait our self as the best in the view of our customers. Beginning with the importance of the reason of including the marketing mix in our report is that, the ‘marketing mix’ is a set of controllable, tactical marketing tools that work together to achieve company’s objectives. Therefore in order to achieve the company’s objectives we need to analyze the 8P’s at first. We will maintain product variation through delivering the best service in the city and a service by which we can create brand recognition of our own. We are also reluctant to differentiate our product form our competitors as we have already said that we will be offering the best value to our targeted customers therefore by the advantage of owing a pool of skilled employees and related attribute we can achieve differentiation. Continuous innovation is needed in order to retain and attracts the customers in order to run the business. Product development would be vital for us to maintain product differentiation and gaining high market share. We would be always on the lookout for new and invest in R&D to replace existing ones that has lost customers interest and search for better ways of training the to trainees. The developments also comprises of the investment on the high-tech technologies and machines which will make sure that the process of delivering value in intact and the quality is up to the mark and also will help Freya’s to gain high competitive advantage. To manage rivalry and to discourage new entry, we must have a high class product in each market segment. Besides this, our promotion will make sure that we are providing the equal amount of effort to helping customers to brush their personality and look. To select the location where the service will be provided and where the whole operation will be performed is very important in terms of customer’s ease. Place or location makes a lot difference in order to become successful and more popular in the view of the customers. We have selected the in a prime location of Dhaka city which is in Bashundhara Residential Area. We will rent a 3,000 square feet shop in a commercial building just beside the International school of Dhaka. Monthly rent for this shop will be TK. 60,000. The reason for this selection is because we have identified that Bashundhara currently became one of the busy areas and there is not a single beauty parlor here. We already have near about 10000 customers from North South University and a huge portion of customers who are permanent resident of Bashundhara, guardians and female teachers of ISD and Play Plane School. Another reason behind choosing this location is from next month Independent University of Bangladesh will starts its classes in their own campus of Bashundhara. Besides, GrameenPhone will shift its major portion of employees to it’s headquarter which is in Bashundhara. Moreover, we are going to get a huge number of quality customers for our Freya’s. As we have already said that we are following a value based pricing strategy, Where the core process is to transfer value by creating a satisfied customer. and Tk. 4, 00, 000 for each of the next 5 years. Therefore in order to achieve a target on which we can overcome the barrier of being a late comer in the market, we have come up with an effective promotional strategy which can overcome these obstacles. The strategy defines various stages on which we will be going through, and the time line will be attached with the life-cycle of our company. The cost has been modified and has been given in such away so that we can accumulate perfectly and effectively, in a limited budget we have. It is a frequent and a very popular mode of medium of promotion as per our industry if concerned. Therefore we are focusing to invest heavily on the newspaper and magazines in this stage. As we said before our industry is so conscious they don’t seem to invest more on the television advertorials. As it is a very expensive mode of medium of promotion to invest. Therefore we are focusing on investing on this sector not regularly. In terms of newspaper, we will give advertisement of our salon on last page before opening our parlor. We will give it for two times which will cost TK 1, 60,000. We will promote Freya’s first year of its starting through one of the best fashion magazine “Mirror”. Mirror which is a weekly magazine is very popular among women. We will place our advertisement on first page of the magazine and for full year promotion it will take total 5, 76,000 (48000*12). Freya’s is planning to distribute lift lets among 10000 students of NorthSouthUniversity which is in Bashundhara before opening our salon. It will cost almost TK 5000. We will do postering in some major place besides our location to grab the customer’s attention. For than we have selected Bashundhara area, Baridhara, Banani, Gulshan and Uttara. We are going to do promotion through posters for four times in first year and for each time it will take TK 43,500 and total amount for 1 year will be TK 1, 74,000. Poster is a very effective tool for a start-up company. So, by that we can straightforwardly grab customer’s attention. As we are a start up company, so we need to force our customer to believe that we will serve them with quality product and service in reasonable price. We are planning to make kiosk for three days in NorthSouthUniversity’s student in their own campus within first month of our salon. Students can get our services like hair cutting, hair coloring, hair straightening, hair treatments, eye brow pluck, pedicure & manicure, facials & spa services. We will give them discount coupons for further services in our parlor. For kiosk, NSU will charge us by TK 15,000 for each day and our kiosk will be in Girl’s Lounge. Promotion strategy for opening day of Freya’s mainly focused on make a good reputation from day first in customer’s mind. We already planned to invite 100 people consist of some TV personalities, journalists, students and housewives in our opening ceremony. We will invite them through invitation card. In the opening day, there will be huge number of promotional festoons of Freya’s through out the total road of Bashundhara gate to Freya’s salon. In the opening ceremony, we are planning to give free herbal packs from our two specialist beautician and free spa massage and also every guest will get a 15% discount card for three months. For endorsement in opening ceremony, we will bring famous TV actress and model Joya Ahsan to cut the ribbon of Freya’s. As our industry is so much concerned, they will take her as role model and this will going to benefit us for future function. Joya Ahsan is also going to shoot for our parlors with our different types of make-up schemes. Therefore, we are allocating TK 11, 50,000 for our first year promotional activities and for next five years we are planning to invest TK. 4, 00, 000 for each year. Process refers the steps of procedures, mechanisms and flow of activities which lead to an exchange of value from us to our customers. Every operational activity that we are going through is an activity which comprises of transferring the ultimate value to our customers and also to our potential customers. Being a service provider in the market place we are emphasizing on the process of establishing our-self as the ultimate value transferred mechanism in the market place. Our every activity is dedicated to the process of transferring the ultimate value top our customers like starting from taking a call from our potential customers to delivering the services with the ultimate value attaching with it. The overall process of our services has already been described before. The easy, user friendly and convenient procedure is the main designing attributes of our service processes. We have managed to simplify the way the trainees will be enrolled, the way they will be trained and the way their classes will be scheduled and informed. Apart from that we will also have easy check in, and check out procedure, reservation procedure for buying the service hours. The direct sensory experience of a product or service is that permit a customer to measure whether he or she has received value through a operation. Examples might include the way a customer is treated by a staff member, or the length of time a customer has to wait or the environment in which a product or service is delivered. All in all we can conclude it in this way is that, the consumers will go through in an experience, just by the stepping into our shop. The places for different recreational activities will be set in such a way that none of them hampers the others. We planned our every section like hair section, facial section, spa section etc individually and also with privacy in terms of spa massage and facial section. This is the overall description of our service process centre and we hope it will portray good image of us to our customers. Consist of the human resource and individuals related with our process of transferring value and providing services, weather the service is core or supplementary. Our impendent own human resource department are responsible to manage a skilled pool of labor who are dedicated to perform in their best to satisfy each and every customers individually. Human Resource Manager Mr. M. Mahfuz Amin has taken the responsibility and he is managing the human resource department effectively and efficiently. In our progression center, specialists are a major input in providing the promised service. Those who are highly skilled and multi skilled can perform tasks faster and more accurately than individuals with lesser skills. We hired two foreign consultants and one of them is specialist in hair and another one is in skin. So, we won’t only hire skilled consultants but also assure training upgrades as consumers’ preference for certain changes so as to bring our company productivity-related efficiency gains from learning and experimentation. “Freya’s” is not only a salon shop; it will be a brand that ensures the best productivity which defines the best outputs which is the result of quality input with skilled and professional labor force and consultants. In our salon industry we have identified and analyzed that we are differentiating us from our competitors in segmentation and targeting a niche market and with the ultimate quality of services on which our customers are paying for. We know at the end of the day we can find a satisfied customer with value received form our company “Freya’s”. Broadly defined, optimizing the marketing mix is the primary responsibility of marketing. By offering the product with the right combination of the product, price, place, promotion and additional 4 P’s marketers can improve their results and marketing effectiveness. Making small changes in the marketing mix is typically considered to be a tactical change. Making large changes in any of the 8 P’s can be considered strategic. These 8 P’s are fundamental marketing issues that always need to be addressed. They are the primary actions that marketing requires whether determined explicitly or by default. By our marketing planning and strategies, we will become the market leader in few years because we will serve our customers with up-to-date, innovative & high quality product and services which also include technical supports and consisting offerings at lower possible cost. Human Resource Planning Process is an essential part of managing the Human Resource effectively. Human resource planning is first component of human resource management strategy. Human resource planning is the process of carrying out the movement of people into, within and out of an organization. Human resource planning determines the future employment need of an organization as well as ensuring that the organization has the right number of qualified people in the right place and at the right time. Effective human resource planning process determines how to pursue the organizations long –term goal. For determining the long-term goal it has to have an effective Human Resource Planning Model. The model forecasts demand, which consists internal and external considerations, techniques and some other factors related with organization’s long-term goal. Effective human resource planning also involves the key elements that are forecasting the demand for potential employees, and the supply analysis. Basically means the process of balancing the demand and supply of work force within and out the organization by internal and external consideration. Product or service demand is the organization internal consideration based on which it simply design its human resource planning strategy. The demand for a manufacturing company is simply its finished product where as service is that of a service based company. Considering the demand, the company or the organization predict its human resource planning and determine the strategy. So before forecasting demand for future, organization should consider its product or service demand. This is what we are also doing. So we are doing the same thing as well. What we are doing here is that, though there are so many companies are available in business but we will be unique because of our superior and exclusive services. So we will need some of the most efficient and effective employees who has to be educated and knowledgeable so that we can achieve our goal. In order to determine the demand for employee and products the company use trend analysis. The trend analysis basically forecasts employee needs based on a business factor such as sales revenue and ratio of the labor productivity. It really depends on the historical data to calculate productivity ratio, which is measured through dividing business factor by productivity. Suppose the organization wants to predict the next year sales, for that it will have to calculate the last three to five years productivity ratio to forecast demand of sales for the organization. It is one of the techniques that management uses to forecast demand. It is the qualitative approach to demand forecasting. It is the opinions (judgments) of supervisors, department managers, experts, or others knowledgeable about the organization’s future employment needs. So the decision of management plays a vital role in the forecasting of demand. If they are wrong in estimating the needs of employment then the whole organization process of determining demand will be worthless and the organization will suffer as a whole. Again the management’s failure can lead towards poor growth for the organization. Now –a-days organizations are more flexible enough to respond to the changes in the environment. As per the direction of the environment, which can be positive or negative, affect the organization not to a great extent because of this management estimation that is done correctly for the organization. It is an attempt to decrease the subjectivity of forecasts by soliciting and summarizing the judgments of a preselected group of individuals. Here the organizations try their level best to avoid any kind of biasness in the organization. So the organizing committee selects members from different groups to determine the demand in the future for the organization’s product or service. Basically the team approach is applied here. The final forecast of demand will represent a composite group of judgment that in essence indicating the similarity of thinking about the core need of the organization in advance. Delphi technique in this current situation maybe hart to find but yet it closes to the team building approach. As a result the organizations applying that are capable enough to meet the need for the customer, which is the primary objective of the organization. By following this process we will be able to understand that the organization will need to be very identical and it will create immense pressure for us. Supply analysis is concerned with the number of people required both internally and externally. The company will first find out the employment need within the organization to staff any projected group member for vacancies. Then the external evaluation is carried out if current employees are not available. The organization also uses techniques to balance with the supply and demand of the service and product of the organization. As we are not having so many employees so we will have a easy way to analyze our supply of labor. So we can do it easily and in an effective method. A method for tracking the pattern for employee movement through various jobs is markov analysis. It is helpful in the case that through this we can easily project that who is going to get the new post that has been opened just. The movements of employee tracked upwardly and horizontally not downwardly. He or she can be very competent for any post upcoming but their past performance on the job through movements who is to be fitted for. This thing is really necessary for our company because our main strength will be our human resource and the future recruiting processes will be needed through this. Because the core competencies will be that our consultants will be the most multi-skilled person who can train the trainee very well. Internal demand forecasting tools refers the technique through which the internal need of employee arisen from vacancies can be categorized. The organization use these different techniques to find an efficient employee to make him proper training. It includes the skill inventories, replacement chart, and succession planning. Skill inventories represents the file of personnel education, experience, interests skill etc. that allow managers to quickly match job openings with employee backgrounds. Whatever skill an employee has based on that the organization hires employees within the organization. Listing of concurrent jobholders and persons who are potential replacement if an opening occurs. The word replaces itself self-explanatory. By this time, organization selects the right people at the right time at the right places. The process of identifying, developing and tracking the key individual for future executive position is succession planning. For this kind of strategy very highly trained people is required. An executive replacement chart contains the data about a person promo table now, needing development, above average performance. After searching internally the organization will go for external consideration. The external thing is not under the control of the organization. It has to change according to the changes in the external condition. The labor supply of an organization is influenced by the demographic factor in the population. It is also very important for our organization. The factor includes age, income, gender, and status as transition occurs from time to time. The youth of today will be the future leader of the nation. School children become college graduates and who eventually become managers and lead as CEO of an organization. Demographic factors are really important for an organization because based on these external factors the organization will determine the labor supply. If the organization finds that, there will be a great demand for their product or service in the coming season they will be looking for hiring people. As people grows demographic changes occurs. Income of individual influences the labor supply. When people have low earning, they struggle to get employed somewhere that pays high wages. It is also necessary for our organization also. So the recreating process of our organization will also very be dependent on ht country people of our country. Organization should possess efficient worker to perform better than their competitors. The efficiency depends on the literacy level of the employee. When the employee doesn’t know what to do and how to do, then it indicates that the employee is ignorant of their doing. So the literacy rate of the organization is an important to be considered by every organization. The better the skill and knowledge of the workforce, the better they would be able to perform. Professional could be recruited in order to occupy top-level managerial positions. If all employees of an organization have equity on education, organizational discipline and behavior will be established in more effective way. It will be our core competencies that the consultants will be the multi skilled person that will save the employees. Labor mobility means the people movement from and within the organization. Labor mobility is a crucial factor in determining the labor supply. It indicates to what extent the people willing to move or willing to take new challenge. If they are willing to do so then only they will exert outstanding performance. Labor mobility is considered as an external factor because labor mobility has impacts on the organization HR planning process as it is dealing with mobility of labor on specifics factor. The factors include many departments in the organization. The organization will first think that who is going to do what. After seeing the labor mobility within the organization the top of the organization decide the following steps in determining the need of the labor supply. Government policies and regulations are important in determining the labor supply. Government decides the salary range, wage rate of labor, the employment requirement for an organization. Organization has to abide by the rules and regulation of the government. The organization considered being illegal; if they try to go beyond the limitation of the organization. Govern set the criteria to hire people. Government also sets the criteria about the labor employment to which the organization is given a limit. The organization may look for liaison with the government to be benefited in the organizations area among the competitors. Unemployment means the scarcity of jobs in the job market and people are there for job but they do not find any place for them. It is basically because of the competition is increasing day by day. If the rate is high then it will have an impact on the organization planning resources. The organization will have the advantage of cheap labor at that time and production will be cost effective because people would be looking forward to work at any cost. In our country the unemployment rate is very high that will help us to recruit employees on low wage. We have divided our principles in to two basic ways. One is salary structure and the other is legal aspect. We will have some employees. Among them there will be 1 manager, 1 receptionist and cashier, 8 Operating Employees, 2 specialists, 1 security guard and 2 cleaners. So each of them will get different compensation. Their salary structure will be different. Some of them will be paid in monthly basis and some of them will be paid in percentage basis. There will be consideration of some factors in the compensation. In the legal aspect we will cover some of the laws regarding our business. It is just because of to ensure the correct working environment to our employees. We will ensure all the labor laws that has been passed and maintained in our country like 1931 Davis‑Bacon Act, Walsh‑Healey Public Contract Act, The Equal Pay Act, Age Discrimination in Employment Act, The Family and Medical Leave Act, The National Labor Relations Act of 1935. As we have mentioned before we will have six types of employees and their responsibilities are different. Some of them do need to have certain graduation and some of educational qualification. Besides, all of them need to have certain level of work experience too. We will have six types of employees. They are manager, receptionist & cashier, Specialists, operating employees, security guard and cleaner. Besides these each of the investor will have some of the posts. 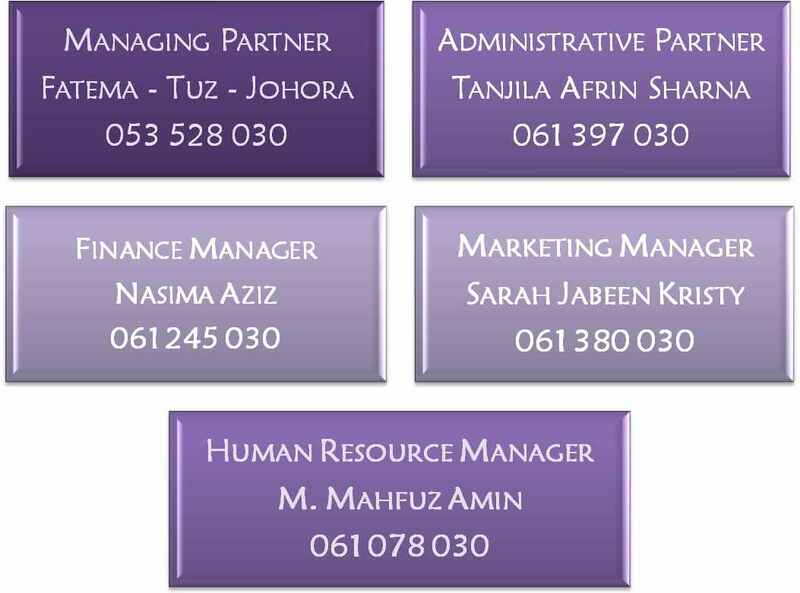 The posts are managing partner, administrative manager, human resource manager, marketing manager and financial manager. The manager will lead the business and will look after all the things of the business. Besides, we will have 1 cashier & receptionist, 2 specialists, 8 operating employees, 1 security guard and 2 cleaners. We will follow some basic procedures in case of training & development. They are listed below. In case of recruitment we will also follow some techniques. We will hire two specialists, eight operating employees, two cleaners, one managers and one security guards. At first we will hire two experienced and renowned hair and skin specialists. Afterwards we will have internal recruiting with the help of those specialists in case of measure and hair dressers. But the person who will be recruited must need to have 4 years experience at least. Besides we will hire one trustworthy person who will act as both cashier and receptionist We will also hire two managers, four cleaners and two security guards and will take the help of external recruiting process. We will hire two hair stylists who will have higher degree on hair cut. And afterwards they will teach the rest of the employees about all the skills that they have learnt. Besides, the stylists will also get involved in hair cutting and some other process. The leaves of the employees will depend on some issues. We will have a weekly holiday on each Sunday. But during the peak times of the business like different festivals, government holidays and peak period of marital ceremony (November to February) it will be kept open. Each employee can take 15 days leave in each year without the peak periods of the year. Each employee will have the festival and religious holidays too. Besides, the emergency conditions like sick leave and death of the relatives and some other emergency conditions of the employees will also be considered. We will take different performance appraisal techniques methods. We will use some techniques like BARS (Behaviorally Alternation ranking method), Paired comparison method & Forced distribution method. The appraisals will be done by the immediate supervisor, Peers, Rating committees, Self-ratings, Subordinates, 360-Degree feedback. We will try to get rid of problems like unclear standards, Bias, Strictness/leniency, Halo effect & Central tendency. High expected profit will encourage other new entrants to come to the industry. Already established competitors may show high resistance. Competitors may try to copy our business plan. Competitors may try to capture our beauticians by offering higher payments. Unpredictable political situation of the country is another threat to our business. Political instability has always hampered business of all types in Bangladesh. A sudden change in government policy about business or tax can hamper the operation. The natural calamities may suddenly take place and that will hinder the operation. Economic downturn can hamper overall income level. Sudden trend change is a great challenge for the business. Demand may change drastically over the time. In addition to that, different external environmental causes like political and legal issues may results in highly risky market situation. For example, increasing inflation can increase the cost of the company. The salon has only 10 employees. The absence of any beautician or specially the experts will cause big crisis for our business. In the first year we are expecting net loss of 342,420. So we will face high liquidity risk for the 1st year and also the 2nd year. Women parlor in Dhaka city is not a new concept. There are already some good players in the market. To compete successfully in the market we have to manage our financial plan efficiently & effectively to provide best experience with standard price. The initial investment varies based on the class of parlor that one wants to give. To open a very high class parlor in Dhaka city it will be costly and as we are focusing on providing a new level of experience we will have to bare some high investment cost though not exceptionally high. Reducing cost efficiently will be a challenge for us, as we don’t want to compromise with our quality grooming experience. For this business all five of us will invest 11, 50,000 TK each totaling 57, 50,000 TK. We will rent a 3,000 square feet shop with advance payment of 600,000 TK and monthly rent of 60,000 TK. We have decided to invest 2,200,000 TK for the interior designing and other furniture and equipments. As for promotion, we have assumed to invest vastly in the 1st year, i.e. Tk. 11, 50, 000 and to invest Tk. 4, 00, 000 for each of the next 5 years. During the first year of operation we plan to hire 10 operative employees and 2 administrative employees along with a security guard and 2 cleaners. Among the 10 operating employees one will be a hair stylist and another skin specialist, both with foreign training. We will share our profit with them on a 60-40 basis (Our 40% and their 60%). Down the road we plan to hire 2 more operating employees in each of the 2nd, 3rd and 4th year and 1 each in the 5th and 6th year. Forecasting is based on percentage of sales. NPV, Discounted Payback Period and Break even will be calculated by Excel. Cost of equity is 12%; Bangladesh Govt. Treasury Bonds of 5 years provide 7.5% interest and assumed risk premium of this business is 5.5%, which totals to 13%. Fixed assets will be depreciated using straight line method assuming no salvage value. Most of our assets needs to be replaced after the 5th year as they will become obsolete that is why a large amount of cash that is at around 2,000,000 TK will be invested both for renovation and as well as for purchasing assets. Sales will increase by 20% in 2nd year, 25% in 3rd year, 30% in 4th year, 40% in 5th year and 6th year considering 1st year as the base year. Fixed and variable cost will increase by 5% in every year. * Note: Sales will increase by 20% in 2nd year, 30% in 3rd year, 35% in 4th year, 40% in 5th year and 6th year considering 1st year as the base year. From the break even analysis we have found that our sales are well over break even, which indicates strong feasibility of our business plan. Discounted Pay Back Period: From the above calculation we can see that the discounted payback period is only 5 months which is within our business valuation time frame, 5 years. So based on the discounted payback period we can say that our business plan is acceptable. Net Present Value (NPV): We have calculated NPV with terminal value. Considering the value we can see that the NPV is ৳ 5,474,000 of our business. This NPV indicates that our business is highly profitable, so it is very much acceptable. So considering both NPVs we can conclude that our business plan is more than acceptable. From above analysis we can say that our business plan is proven to be financially successful. Freya’s long term objective is to increase the sales by 15% in 2nd year, 20% in 3rd year, 25% in 4th year, 30% in 5th year and 6th year considering 1st year as the base year. With our unique club like environment and customer centered focus we will be compete in the market strongly. We will go extra mile for our customers as we already providing lots of extra facilities to our customers. We will make sure that our employees, environment, equipment & machineries all focuses on providing best beautification experience. We will enhance our existing competencies and achieve the future competencies. We will take the beauty experience one step beyond anything else. Through our uniqueness we will be able to sustain in the long run. The main purpose of our business is to provide the best beautification experience for today’s women. We not only focused on trained employees to achieve this but we will incorporate unique environment with lots of facilities that can be enjoyed by our customers. For us our saloon will not be place for just for consuming our service rather here they will come to enjoy, take pleasure and relax while getting the service. For our salon “Freya’s” service is not just a service it is an experience to be enjoyed.